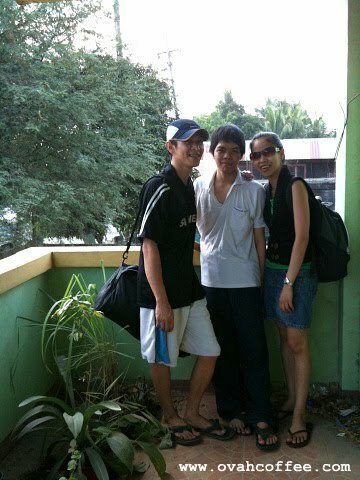 My mom and brothers relocated from the lively Quezon City to the silent town of Bulacan sometime in 2009. I was a bit upset after hearing the news because the new apartment was an hour and a half (depending on the traffic condition) from the metropolitan district of Manila. When I went home for a one month visit just this March, I fell in love at once with the place. I never expected that I would like Bulacan that much. The air was fresher, the streets are cleaner, the meat and vegetable products are fresher (and yup --- cheaper) and the people are a whole lot friendlier. Whenever I wanted to visit Manila, all I did was to take the bus as early as 8AM and travel back home after 7PM. It was during these hours when traffic wasn't that heavy at all. The apartment my family is renting is clean, spacious and more than 50% cheaper in monthly rental compared to the one they've lived in Quezon City. Since the neighbors are well disciplined, the surrounding is kept clean all the time. The flies and cockroaches are rare (haven't met one during my two weeks of stay in the apartment). I haven't had issues with mosquitoes and ants while spending my vacation there. I hate insect bites (I mean who doesn't?) which is why I am really happy that my mom has found such a great apartment to move in. I remember staying in the old apartment during the July 2009 Philippine visit where flies and cockroaches are almost everywhere, mosquitoes do not think twice about attacking us and the ants are just all over the place. One morning, I've woken up with very itchy ant bites on my left arm. I've tried to resist from scratching them but the temptation have been so strong that I've kept on scratching the bites. The experience is part of the past. I am just glad to know that my family is staying in a better apartment now --- safe from all these annoying insects! Bulacan is a beautiful province. I also visited my relatives there in January 2010. Years ago, they relocated from Manila to San Jose del Monte. Who knows? Maybe our families are neighbors.